I've just finished a Masters degree, nearly three years after I retired as a professor. I enjoyed much of my time as a student exploring a topic that had eluded me as an undergraduate student. The two years of part-time study also made me reflect on the nexus between academics and students and on the administration of university programmes. I won't name the university I attended as I'm also including my time in academic management in the UK and Australia, and as an external examiner in England and Ireland in these reflections. It was a real pleasure on some modules (units/courses) to engage with academics who really love their subject and weave their research into teaching. Yes, that should always be the case but some folks do it better than others. The impact upon students was evident in seminar discussions and real academic communities were created. Libraries and librarians are under-recognised for their value they give to students. Library staff at all universities where I have worked or studied during the past 15 years have been very supportive and always went a "bit-extra" to add texts to the stack or get books and articles through inter-library loans. They have sometimes struggled with new software (VLEs and reading lists) but kept trying till it worked. Research group seminars and lectures were an important asset whereby students engaged with new research and different conceptualisations. They also give platforms for younger academics to present their work outside their home campus. Good universities have lots of them. Making set times for consultations between lecturers and students worked well. The trend to treat students as academic consumers has implied there should be instant responses by email and through short-notice meetings. This consumerism just leads to stress on staff and short-termism whereas a scheduled meeting leads to greater consideration issues by staff and students. My meetings with lecturing staff were scheduled and produced thoughtful results for both of us. It's a discipline to be maintained. Wearing my recent student hat, I now realise how important the programme handbook is for students. Those who read them in detail, admittedly a minority, will find that they have often been slung together year-after-year with little thought other than meeting a production deadline. A recent example had conflicting information on the presentation of assignments and dissertations and an error-strewn guide to a specific referencing system. At least every two years or when there is a change of programme leader, handbooks should be prepared from scratch using, hopefully, a fresh perspective. It was a similar problem with module or unit guides. Some don't align with the programme handbook or with university policies. As all universities have grand QA schemes and processes, these gaps between the floorboards should not exist. As an academic manager, I defended the quality and consistency of marking by colleagues against student questions and criticism. As a student, I'm less certain as to whether criteria-based marking is as neutral and objective as is claimed. I found it very difficult to judge my progress when marks for similar, heavily researched-assignments varied by 10 marks when assessed against the same criteria. This was no crisis as I generally got good marks but other students had the same experience with marking that reflected the marker's theoretical preferences than the criteria. I'm not sure that, in the humanities, there's another route to use especially as the markers have barely 20 minutes to read and assess each assignment. Rigid pedagogy was the bane of some modules. At Masters level, students should have done their reading and be prepared to discuss the week's topic. The reality in a few modules was that the majority didn't do so and were quite happy to let a small group do much of the reading and lead discussion. However, lecturers were so trapped into seeking positive student scoring of their modules that little was said to the lazy ones and no change was made to the pedagogic module. That just left the keen students dispirited. If a pedagogy isn't working, it should be changed! Many universities cut fees by 25% to 50% for Masters programmes in order to attract their graduates to stay on for another year or so. This chicanery boosts data for student employment, which includes staying on for further study, but at the end of their Masters studies, many younger graduates are no more ready for employment than 12 or 24 months before, and have increased their student loan borrowing. The discounting of degrees is a benefit for some students but hacks-off those who are paying full fees from their own pockets. It should be limited to those students with potential to progress to doctoral studies and be no more than 10-15% of normal fee levels. There is a regular farce called something like a Programme Committee Meeting at which teaching staff, administrators and student representatives meet to consider how the course/programme is progressing. My experience as an academic manager was that student representatives seldom consulted their colleagues and usually expressed untested and occasionally malicious personal opinions. As a student, I found the our supposed representatives might put a message asking for feedback on a closed Facebook group a day or so before the meeting, if at all. They didn't ever tell fellow students about the issues being presented, nor did they report on the meeting's outcomes. Having seen these farcical events in operation for at least a decade, it's time that they were overhauled with a wider range of methods to gather feedback from both staff and students, as they provide little value. Overall, being a student again was stimulating and enjoyable. On my Masters programme, there were several "mature" students among the majority of 23-24 year olds. We tended to stick together as we had different experiences and learning styles but not exclusively. The harder-working younger students had mostly come straight on from undergraduate studies in the same field and had greater awareness of the basic material and theorisation. Whereas as we tended to read with greater depth and to bring in multi-disciplinary perspectives. So there was a lot of learning and discussion in the better seminars. I hope these reflections will be of assistance to both academics and students. If you're considering a return to study, the benefits and the enjoyment outweigh any gripes that I've expressed. 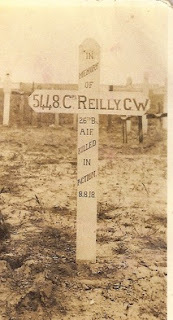 100 years ago today (8th August 1918), my great-uncle Guthrie Wilberforce Reilly was killed in action at Villers-Brettoneux on the Somme battlefield in eastern France. 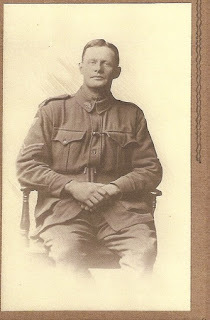 He was my grandmother Ruby's brother, known to the family as Goo or Joe, and had been a farmer at Goolmangar near Lismore in northern NSW before enlisting, aged 31, at the end of January 1916 in the 26th Battalion, 14th Reinforcement. Guthrie was born in Sydney, son of Robert Reilly and Sarah (Wheeler), educated at Glebe State Public School and later at Hawkesbury Agricultural College. His father Robert Reilly, a former Irish policeman, was head carter at the Farmers Ltd department store in the city. He travelled to France with his unit on the HMAT A50 Itonus which left Brisbane on 8th August 1916. When he was killed, he held the rank of Corporal. Although it's not in his records, the family story was that he was killed by a German prisoner on the first day of the Great Push. The decisive Battle of Amiens, which pushed the German army back and led to the end of the war, started on 8th August 1918 and was led by Australian and Canadian forces. I visited his grave at Villers-Brettoneux, which is the main Australian WW1 military cemetery, several years ago and, as with all CWGC sites, it was beautifully and respectfully tended. He was the second of my great-uncles from Australia who was killed on the Somme. In November 1916, 19-year-old Private Thomas Watson of the 20th Battalion, AIF, was killed near Longueval. He is buried in the Caterpillar Valley cemetery, close to Longueval. At the village of Whitchurch Canonicorum in south west Dorset, set in a valley about a mile from the sea, is a unique English example of a local saint’s cult. It epitomizes the religious culture of the early Middle Ages and is still a place of pilgrimage. Even the village’s name gives clues to its link to the saint: broadly translated it means the ‘white church that belongs to the canons’. However, ‘white church’ could be a play on words related to this saint whose relics are still stored in a lead lined coffin in the church’s north transept. The saint is known as St Whyte, St Wite, St Witta or St Candida,1 all alluding to the colour white. 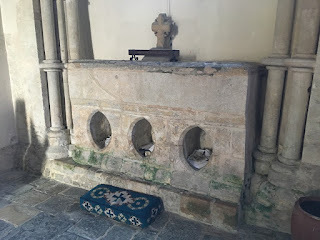 The church is dedicated to St Candida and Holy Cross and is the only non-urban church in England that retains the original medieval shrine and relics of the saint to which it was dedicated.2 Only Westminster Abbey’s shrine to St Edward the Confessor shares this status. How this saint’s relics survived the wholesale destruction of saints’ tombs and cults effected during the English Reformation is not known. 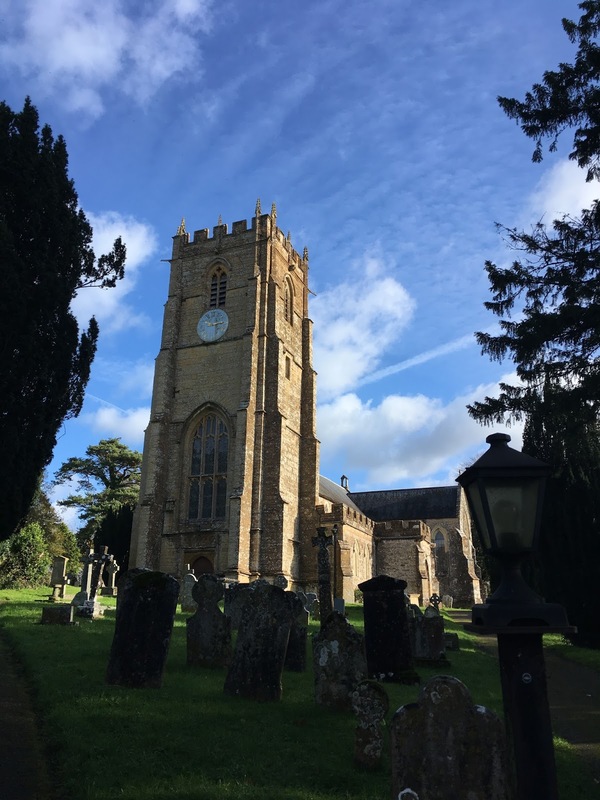 The site is recorded as being given by King Alfred (d. 899) to his youngest son Ethelwald in 881 with the Anglo-Saxon name of Hwitancircian (Whitechurch) which indicates that it was already established as a place of worship. No Vitae (Life) was written about St Wite or has survived, but her relics are mentioned in much later writings of William Worcester (fifteenth century) and the Jesuit John Gerard (sixteenth century)7 indicating that the cult continued long after her death. These pious visitors made an important contribution to the local economy and sustained a nearby hostelry, the Shave Cross Inn built in the fourteenth century. After leaving the shrine, pilgrims could travel to the saint’s well at nearby Morcombelake which reputedly cured eye conditions. 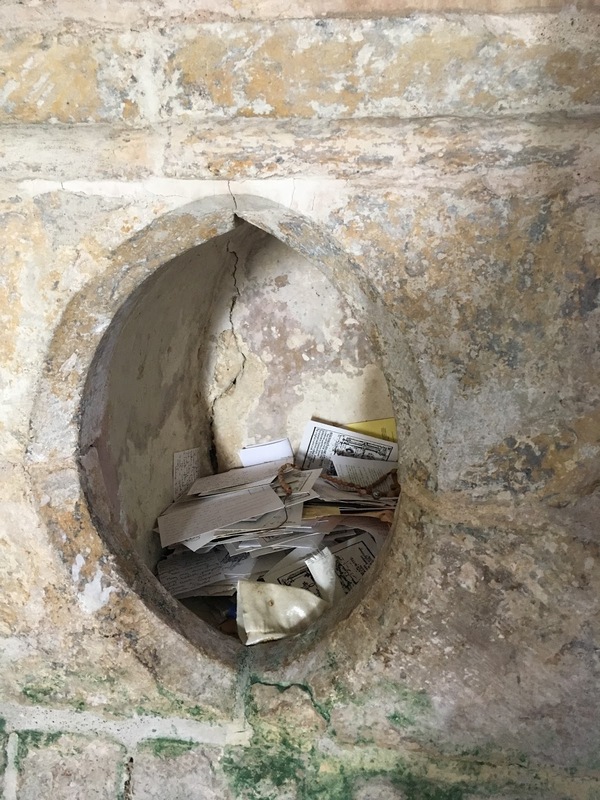 In late 2017, this author found that pilgrims still visit the tomb to place messages of hope, thanks and prayer into the oval openings, thus continuing a tradition that has lasted a millennium. 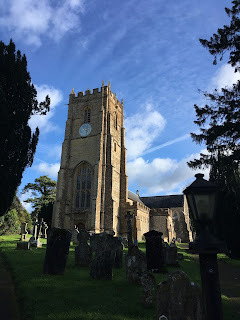 It was one of several cults that existed in the south and south-west of England including St Aldhelm (Malmesbury), St Birinus (Dorchester/Winchester), SS Grimbald, Hedde and Swithun (Winchester), St Edward the Martyr (Shaftesbury), St Piran (Cornwall), St Sidwell (Exeter), St Petrock (Bodmin), St Cuthburga (Wimborne), St Edith (Wilton), St Melor (Amesbury), SS Augustine and Dunstan (Canterbury). The Dorset cult shared characteristics with the other cults. Pilgrims came to the saint’s tomb to seek intercession with God, both by prayer and physically touching the tomb. Physical access to the tomb was common, unlike modern times. Pilgrimage was an important aspect of religious practices as well as being economically beneficial to the church and its surrounding community. It is highly probable that the saint’s feast day of 1 June was included in the regional church calendar of festivals and commemoration, and that prayers and liturgy had regular reference to St Whyte/Candida. However, unlike many other saints, there does not appear to have been any hagiographic Vitae written. This may be the reason that there are so many stories about who the saint may have been. Even the gender of Whyte/Candida is still under question, although it seems highly likely from the evidence of the tomb that the saint was female. 1. Farmer, David Hugh. Oxford Dictionary of Saints. Oxford: Oxford University Press, 2011, 447. 3. Syer, S. G. The Cathedral of the Vale, revised edition. Bridport: Creeds the Printers, 2005, 21. 7. Farmer, op. cit., 447. 8. Syer, op. cit., 21. 9. Tavinor, Michael. 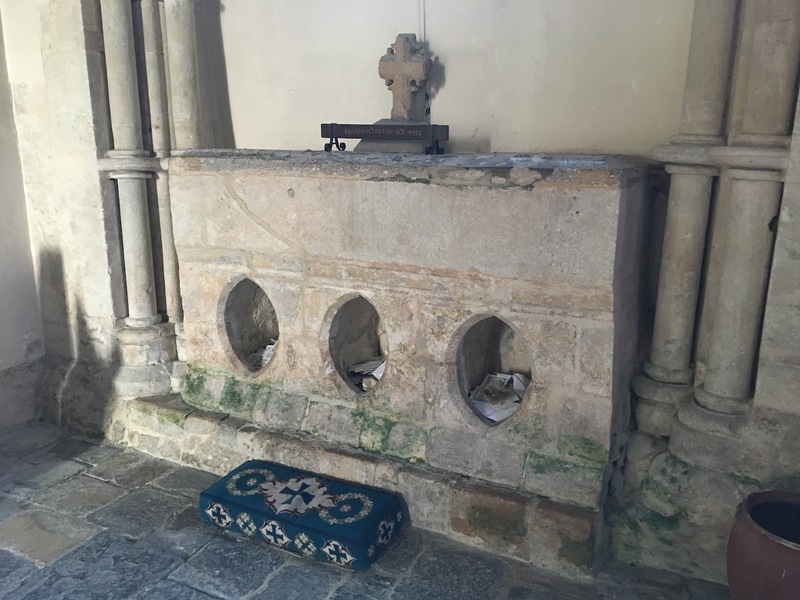 Shrines of the Saints in England and Wales. Norwich: Canterbury Press, 2016, 25.